Richard Haines is also hoping that a similar law will be passed in Britain. His wife, Katie Haines, 31, drowned in the bath after breathing in carbon monoxide (CO) fumes from a leaky boiler. Her death took place a month after she returned from their honeymoon in 2010. The Northern Ireland law was passed following the deaths of two teenagers, also in 2010. In response to his wife’s death Mr Haines established the Katie Haines Memorial Trust in her memory. The new charity aims to raise awareness of the dangers of carbon monoxide among vulnerable groups within the community such as students, holidaymakers and the elderly. The charity has also funded 2,000 posters in A&E wards to raise awareness among doctors observing symptoms similar to those experienced by carbon monoxide victims. 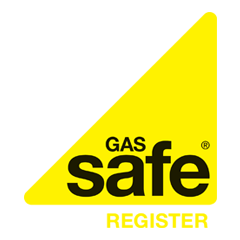 Carbon monoxide is very difficult to detect because it has no taste, no smell and is colourless but the symptoms are often very similar to common illnesses such as flu and food poisoning. However a study on the provision of carbon monoxide detectors carried out for the DCLG has concluded that installing CO detectors provided a low cost benefit alongside new boilers incorporating secondary safety systems.